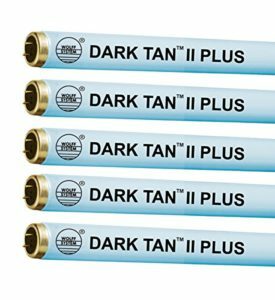 If you want to cut running costs on your tanning bed then you should get the best tanning bed bulbs for your home tanning bed. A great way to determine what the best quality tanning bed bulbs for you would is by considering the level of UVB that these bulbs provide. A higher UVB level will result in a much deeper and richer than less time. 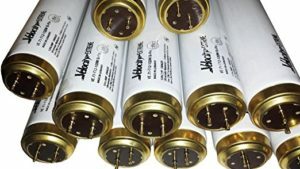 You should also consider the durability of these bulbs to minimize the number of replacements your tanning bed will need. The following bulbs are some of the highest rated bulbs that you can get so you can enjoy the best tanning results at the lowest rate. 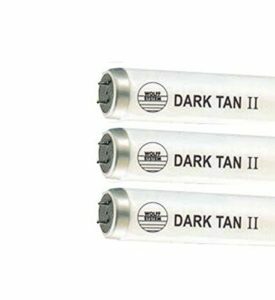 The Wolff Dark Tan II Tanning bulbs are one of the best tanning bed bulbs for home tanning bed owners who are in need of a replacement set. The set consists of 16 bulbs which is perfect for smaller home tanning beds but can be ordered in double quantity for lager beds. Wolff system bulbs are of excellent quality and are the perfect tanning bulb for a home tanning bed. The shipping of these delicate bulbs usually come with shipping insurance in case the bulbs smash or get damaged while they are sent to your home. The bulbs have F71 Bi-pin end fittings and are 100 watt bulbs. These bulbs have a higher UVB level for shorter tanning sessions. These bulbs are also some of the highest rated bulbs that you can get for your tanning bed. The bulbs can be used to replace Velocity Plus, Dark Tan II, Diamond Sun, Golden Tan, Sunmaster and many others. These bulbs have a rated life of up to 800 hours of active use for 10 – 13-minute settings which makes them great for excessive home tanning usage. 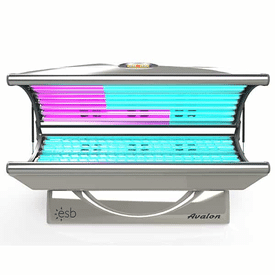 The bulbs are fitted with F71 bi-Pin fittings and can run smoothly on 100-watt tanning beds. Bulbs are easy to insert for extremely comfortable replacement. Velocity Extreme bulbs are about 10% stronger than the Velocity Plus bulbs and are thus the perfect solution for people who have stubborn skin. The Velocity extreme bulbs provide significantly more UVB for a better tan result in less time. 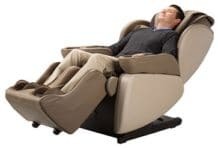 These lamps have an impressive 1000 hour expected life for 15-minute sessions. These bulbs come in packs of 24 which are perfect for larger tanning beds. The bulbs have F71 bi-pin fittings and require a source of 100watt. The bulbs can be used to improve the tanning results on a number of different tanning beds and prove to be much more profitable than other bulbs. The increased UVB levels and greater life expectancy makes these bulbs the best tanning bed bulbs to invest in. Cheaper bulbs may seem like a good idea at the time but you could end up frustrated if the bulbs give out too soon or if you are constantly replacing bulbs. The best way to ensure that your tanning bed is operational at all times is by getting the best tanning bed bulbs that can last for 800+ hours before they give out. If you aren’t sure about which bulbs your tanning bed needs then you can contact a bulb supplier. These suppliers can advise you on which bulbs are the right bulbs for your home tanning beds and which has the best ratings and UVB production levels. Ordering bulbs online is a fantastic way of cutting back on costs and with the high-quality shipping insurance that these bulb companies provide, you never have to worry about a breakage when the bulbs are being shipped to you. With online orders, you can find the exact bulb that you need at the best-discounted rates and online suppliers are much more likely to have the bulbs that you need for your home tanning bed. If your tanning bed is not performing like it used to then it might be time to replace all the bulbs so you can enjoy a deeper tan and quicker tanning results. Always remember to use the right tanning bed lotion to protect your skin because even though tanning beds are much healthier than the sun, excessive tanning could lead to skin rashes or perhaps even skin cancer. Always stick to the recommended tanning sessions and wear your tanning lotion when you are using a tanning bed. The tanning lotions have been specially formulated to enhance the result of your tanning sessions and will result in a much more even and enduring tan.